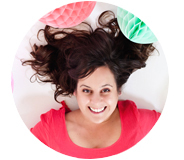 Today I’m giving a little tour of a very small guest bathroom we’ve renovated. 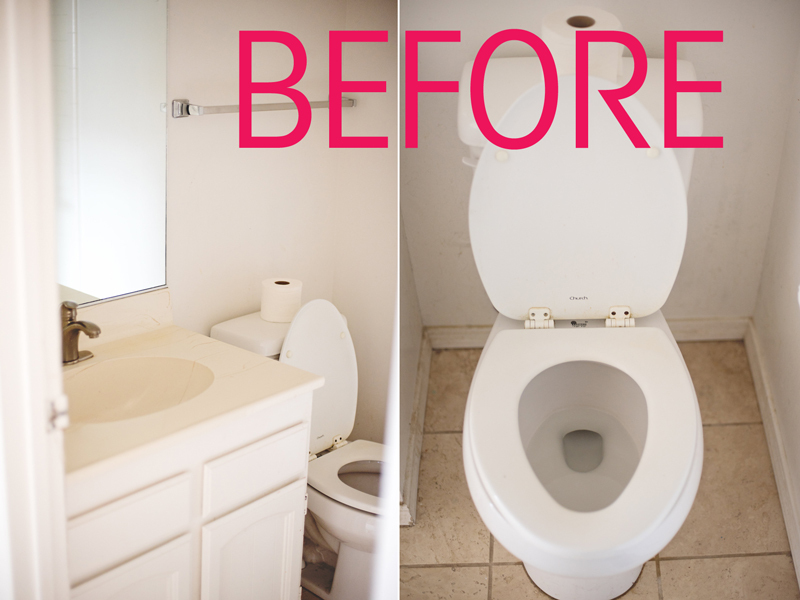 The house has three bathrooms in it – this one was the worst and therefore the first one to tackle. It was REALLY gross! 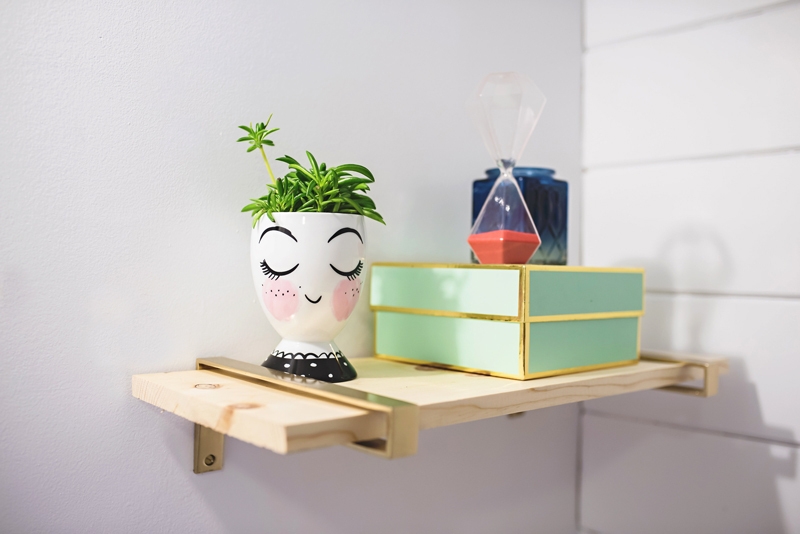 Since the bathroom is only used by guests and the kids we incoporated some really fun elements to give it a gorgeously light hearted vibe. Here’s what it looked like before we started – yikes! And now it’s a fun loving happy spot! Let’s talk about that tile! 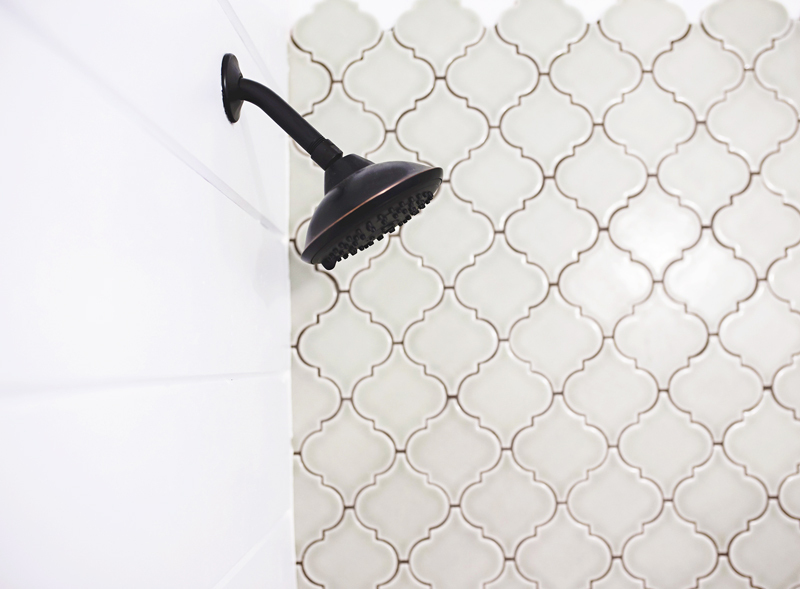 We used Villa Heirloom Arabesque Porcelain Tile in Willow on the wall of the bathroom from Floor & Decor. It is so pretty. We laid the tile just on the back wall as a feature focus for the small bathroom and took it about 80% up the wall (we did this same concept with our kitchen backsplash too). I love the look of the edge profile on this specific tile and laying it like this really allows that edging to shine. 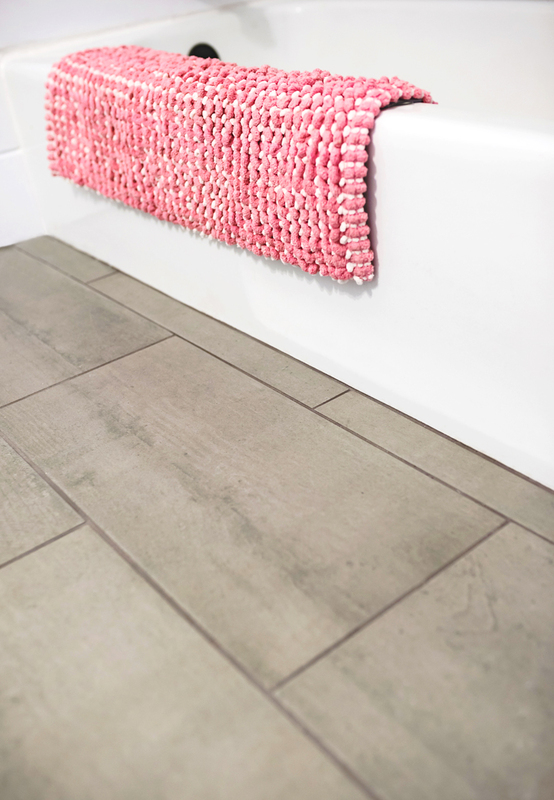 The willow color is a muted mint green which we grouted in grey to tie in with the floor – the grout keeps it looking very old world and not at all too frilly for the space. It’s my favorite tile wall that ever was! On the floor we used large planks of grey porcelain tile. I originally wanted to lay concrete in the bathroom. But… after the huge job that tackling our concrete countertops was, we decided to get a similar look in a much easier way with this tile. The strap shelf brackets are from Rejuvenation, you’ll soon see them pop up in our kitchen too. The plank shelf mimics the pine plank flooring from throughout the house and ties the bathroom in as you look in from the hallway. 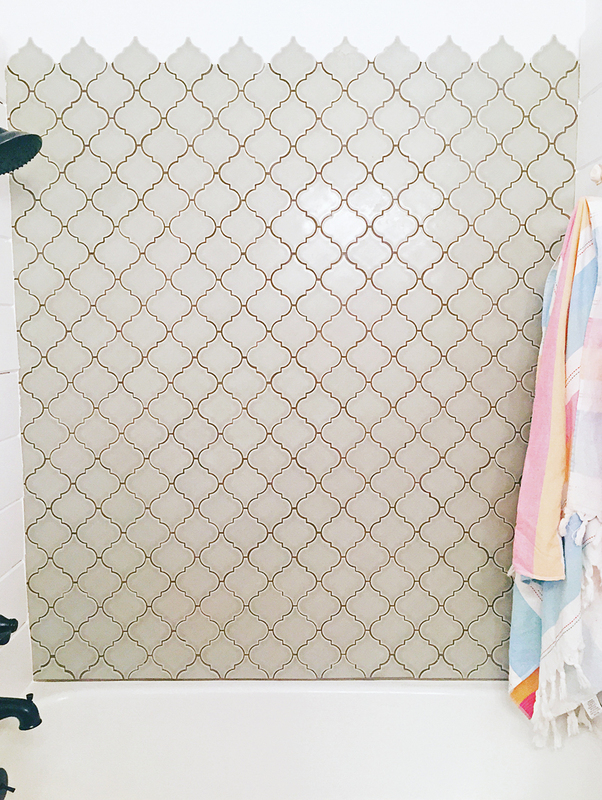 Let’s chat for a minute about shiplap in the bathroom – specifically in the shower! We went for it and I adore how it looks in the space. It was definitely the right decision for this bathroom, although I should preface there was a lot of thought and research put into it. We considered just doing subway tile, but I really wanted the look of the wood to contrast the gorgeousness of the arabesque tile wall. Plus I wanted to extend that shower wall all the way across the bathroom to make it seem larger. Tiling all that space would have been overkill. Now I should say the only reason we were able to do this feature in this bathroom is that the shower is rarely used. Rarely = almost never. The kids take baths (no shower, no humidity) and we actually have another guest bathroom for overnight guests. 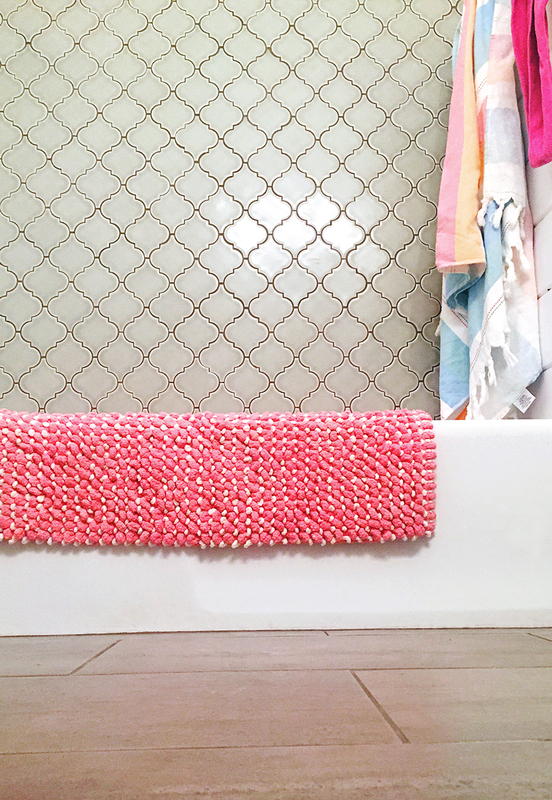 This bathroom is more for friends who stop by (and friends stopping by and shower are just weird!). We would not have done this in our master bath that has a shower running most days, but in this bathroom we opted to try it out. There wasn’t much helpful advice I could find online for doing this – because honestly, it’s a little nutty. So we had our contractor help us figuring out how to make it work in best way that would protect our house and investment along the way. 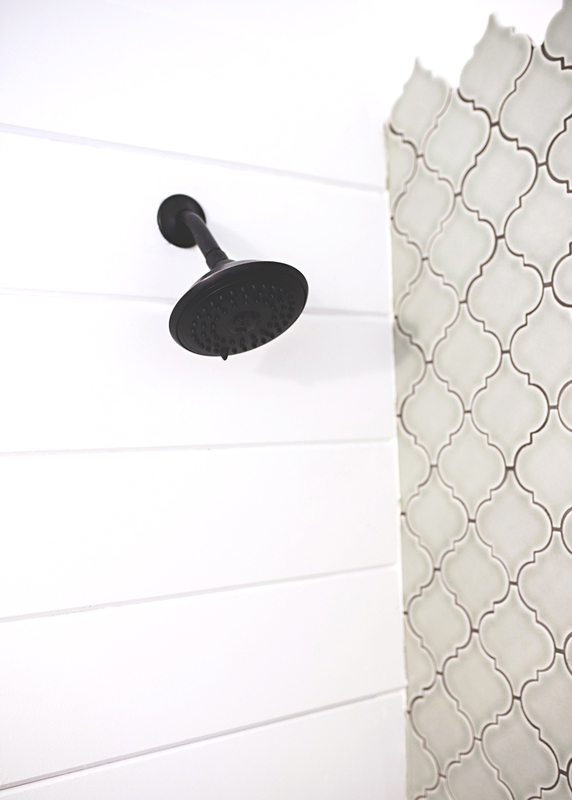 Here are a few tips for putting shiplap wood in a shower, if you dare. 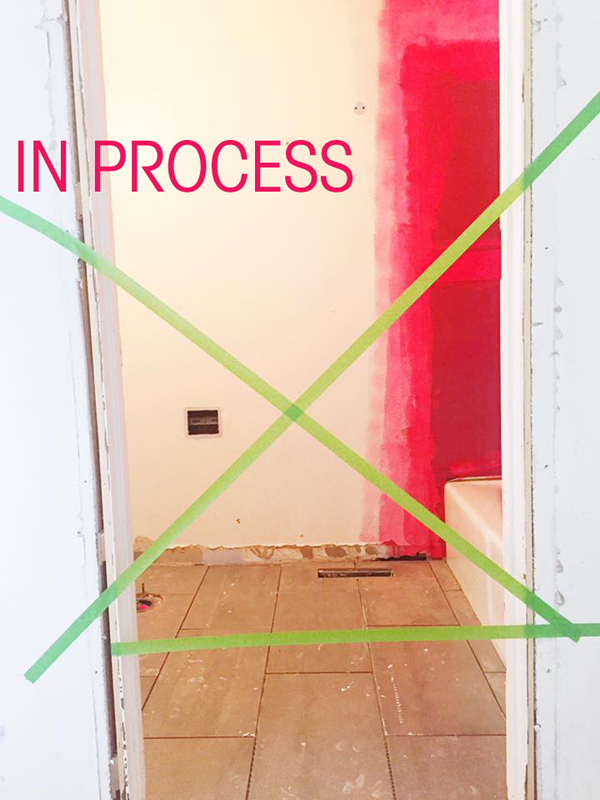 We started with a deep coat of red guard on top of the drywall which will protect the wall underneath in the chance the wood eventually molds. We laid the wood being sure to caulk every nook and cranny possible. We used an exterior grade paint which should protect the shiplap from possible splashes and direct water contact – think about the paint the exterior of a house get’s on top of the wood siding. Even with all these precautions there is a chance the years from now we will need to replace the shiplap and I totally understand that, but the look was just too pretty to pass up for today. The Alape Bucket Sink is from Rejuvenation. Isn’t is so much fun!?! I love the cheeky and fun play on a vintage washroom it gives. One last minute detail I love is that we decided to not put sheet rock over the medicine cabinet hole in the wall. 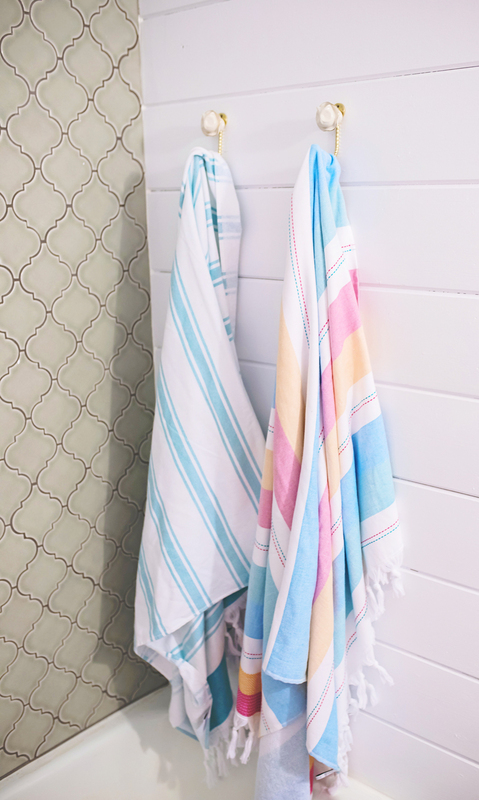 Instead we tied it into the other shiplap walls and it’s a cute spot for storing toothbrushes and little bathroom details (also although it wasn’t up for these photos, I just bought this cute towel hook to go in the box as well). Where is the vintage medicine cabinet from? 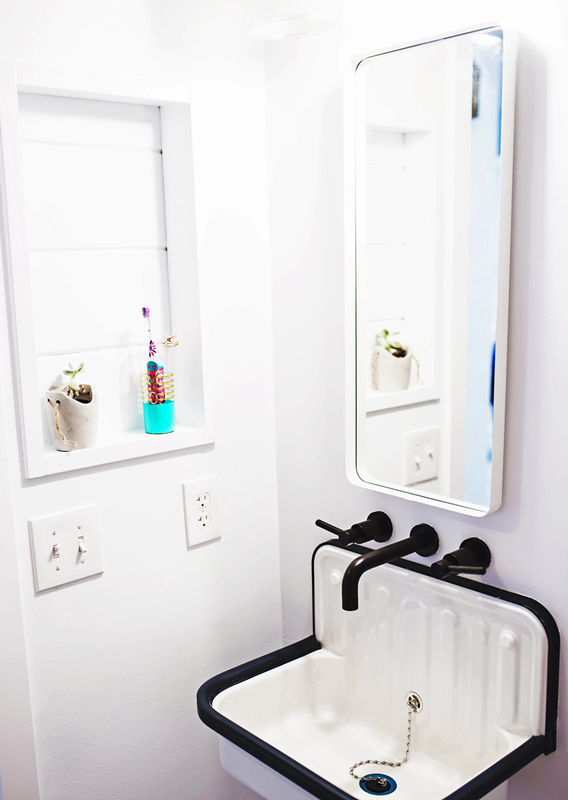 We are putting in the alape sink too and we love the look of the medicine cabinet with it. Steve, Hi. It’s actually just a mirror and not a medicine cabinet. It’s from Target. Thanks! Love this! I’m looking at the same sink & fixtures combo, but the sink appears to only be available with a navy blue (or light grey) trim. Your sink looks smashing with the dark fixtures. Is the trim on yours navy, or did you find one in black? Susan, Hi. It is navy, but it is a very dark navy so it goes well with the darker features and reads (at least in our space) as nearly black. Hope that helps, we love the sink! How has your Alape sink held up? Is it pretty sturdy? I really want to put one in our main bathroom, but not sure if it’s a good choice for a bathroom that gets used daily. Daya, Hi. It’s been almost a year and we still love it! 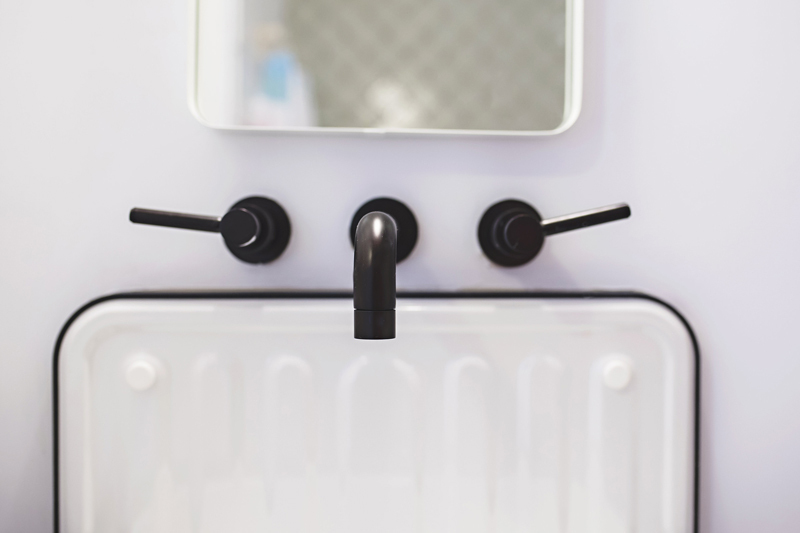 I was nervous too about the wall hang option – but my kids use it as their main sink + it’s our guest bathroom and the sink hasn’t budged even a centimeter. We did have it professionally installed, so if you’re nervous I’d go that route. But I’m so happy we chose it! I was wondering what height you hun your sink at? Because of the high back i am afraid the mirror will be very high up. HI. The sink is hung about 33 inches high (the top of the basin). The mirror is tall for sure, but I like how it looks in the space. Hope that helps!